The welfare and development of every child attending our school is at the heart of everything we do. Here at St Philip’s children are encouraged to achieve to the best of their ability, with teaching that is supportive, nurturing and challenging. Pupils’ progress is monitored by continuous assessment and record keeping. 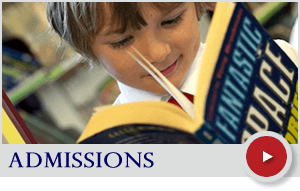 The school undertakes a programme of communications with parents and carers throughout the year to keep them fully informed of their children’s progress, including Parent Teacher Consultations and written reports. We ask that all parents with children in the school sign the Home/School Agreement to show their support for the school and its family environment. It is countersigned by the Head Teacher. At St Philip’s we aim to identify promptly those children with specific learning difficulties and supply appropriate provision for them using a staged approach. Children with Special Education Needs are categorised as School Action and School Action Plus. It is our policy to keep parents informed about the specific provision for their child if they are in these categories. 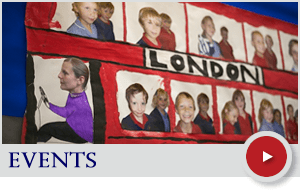 Our Special Needs Co-ordinator works closely with class teachers, learning support assistants and parents, and, if needs be, external specialists, to oversee the assessment and provision for each child. 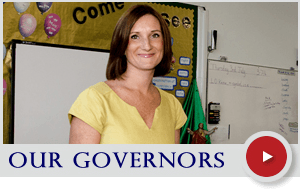 In their annual report to parents, the governors provide information on our Special Education Needs provision. Further details can be found in our Special Educational Needs Policy. The Able Pupil Co-ordinator liaises with class teachers and learning support assistants to identify more able children in all aspects of the curriculum. Provision is made for these children within differentiated curriculum planning and they often have opportunities to attend courses or workshops that are challenging and that provide enriched experiences for them. All our staff place the welfare and development of every child at the core of everything they do. However, we recognise that on occasion a parent or carer may feel the need to raise an issue concerning their child and have a thorough set of procedures to enable them to do so.